Studies consistently verify a fundamental truth about buyer behavior: a friend’s recommendation is more powerful than any advertisement. In the world of social media, your inner circle’s experiences and opinions can travel farther and faster than ever before. The question is, how can public relations professionals harness the incredible power of word-of-mouth marketing to transform a business? Are you utilizing the advantages of social media to the fullest? Successfully using social media for business purposes is not as easy as it sounds. 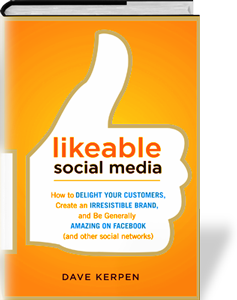 I just finished reading Dave Kerpen’s book Likeable Social Media, a guide on how to delight your customers, create an irresistible brand, and become a Facebook superstar. What makes this particular social media book stand out? For starters, author Kerpen has the credentials to support his social media principles. 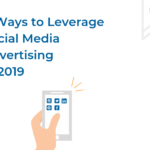 Kerpen is the co-founder and CEO of Likeable Media, an award-winning social media and word-of-mouth marketing firm with revenue growth for 4 consecutive years. Kerpen has been featured on CNBC’s “On the Money”, ABC World News Tonight, the CBS Early Show, the New York Times, and accredited blogs. Likable Social Media covers such relevant hot topics as authenticity, honesty and transparency. In an attempt to present the best image possible, most corporations tend to prevent any negative comments from appearing on their Facebook walls and Twitter feeds. Kerpen argues that is not the best way to handle criticism. Instead, he offers great tips on how to turn negative commentary into a net benefit for your company. Inevitably, your business will deal with negative commentary. Kerpen encourages companies to “embrace what you can’t control,” and suggests following the Do-Not-Delete content rule: Don’t delete a public negative comment. His solution is to provide a quick public response, and then handle the issue privately (for example, through direct messages on Twitter). Kerpen believes the Do-Not-Delete rule should be used in all cases except those involving profanity, obscenity, bigotry or sharing of private contact info. No customer likes to feel ignored, and pretending the comment was never made is equivalent to sweeping a problem under the rug. Address the problem directly and transparently to the customer’s satisfaction. Listening to customers starts with reading and digesting your target audience’s Facebook posts and tweets; then you can respond to their comments by appealing to their interests. The process is simple: listen first, understand the issue, and respond appropriately. The organizations that stand out are those that use social media to meaningfully engage customers and foster dialogue. Ask thoughtful and meaningful questions of your target audience to create active engagement. Those two pieces of advice are just a small sampling of the social media insight Kerpen provides. I highly recommend this book to anyone responsible for managing social media accounts within a company. The book offers high quality strategies that can be implemented immediately and successfully. I definitely give a “thumbs up” to Likable Social Media! Do you have any book recommendations for the CB&A team?